With diamonds appearing as if they're floating above the setting, this elegant sparkle is guaranteed to cast a spell. 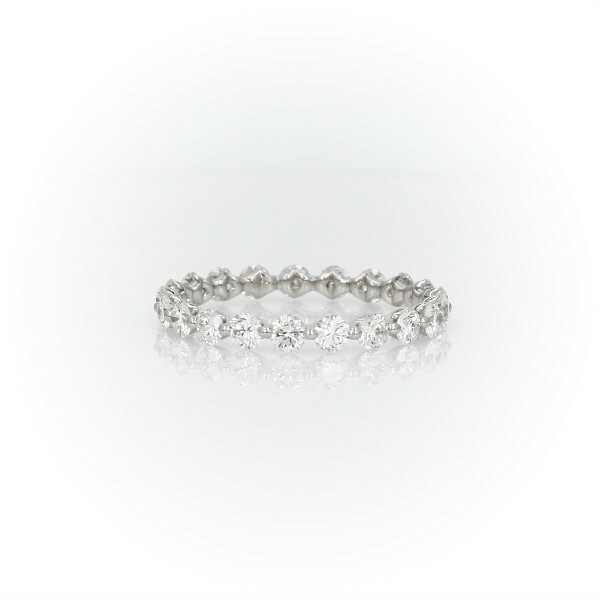 Crafted in platinum , this eternity band displays brilliant, ideal-cut diamonds featuring Hearts & Arrows along its surface. A perfect match with stock number 71244.